Hurricane Florence devastated many communities in North Carolina. 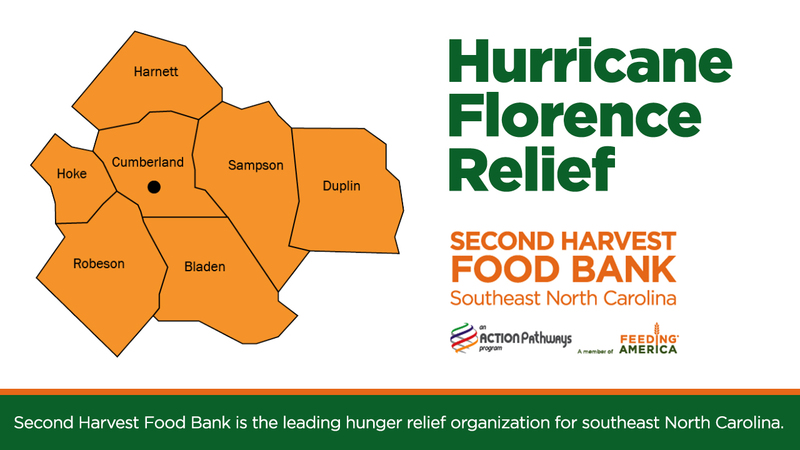 The Second Harvest Food Book of Southeast NC serves four of the seven counties that have been declared federal disaster areas; Cumberland, Harnett, Sampson, and Robeson. The residents affected are in desperate need of help. Robeson County is one of the most food insecure counties in our state, and they are now experiencing another devastating disaster while many families are still in the recovery process from Hurricane Matthew. 4500 meals are distributed in this county alone each day. In just seven days, the Second Harvest Food Bank had distributed more than $1 Million in market value food, an amount that greatly exceeded its projections. 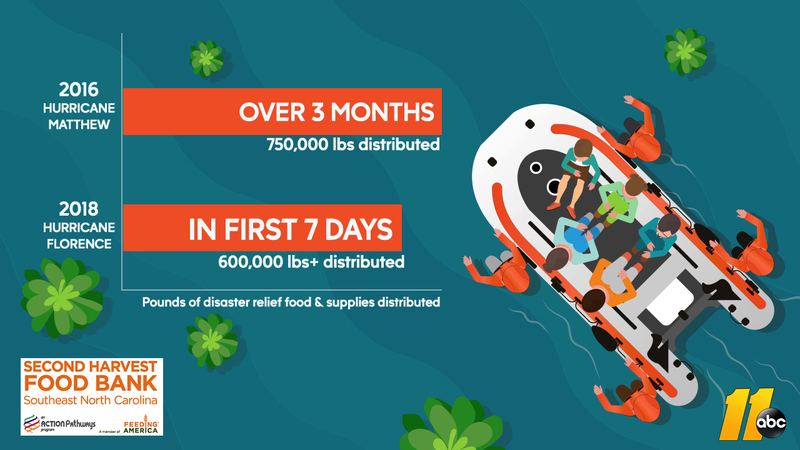 In 2016, the Second Harvest Food Bank distributed just over 750,000 lbs of disaster relief food and supplies from October through December for Hurricane Matthew. That amount was almost matched in only the first seven days following Hurricane Florence. Throughout this challenging time, the Second Harvest Food Bank has never turned anyone away. As their needs continue to evolve over the next several months, they will need our community's support like never before. The recovery process is long. A lot of work lies ahead, but we know our community can band together to respond and rebuild. To donate click here.